Sign up for our newest Block of the Week! This is the finishing kit for those who participated in the Halloween Gatherings Woolen BOW. This kit contains fabric for sashing, borders, and binding (no backing) to finish the quilt. Finishing instructions were in the pattern received with block 1. 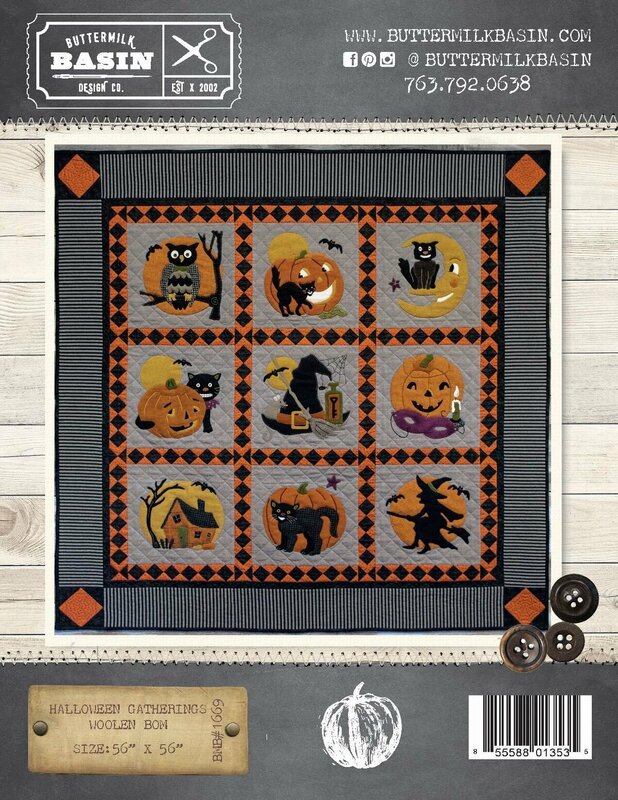 This is the button pack for the Halloween Gatherings Woolen BOM. The button pack contains 18 hand dyed buttons perfect for the finishing touches of this gorgeous quilt!